The HandleBards are the world’s first cycling theatre company. Last summer they pedalled their ‘fresh and inventive’ version of Shakespeare’s Twelfth Night 1500 miles around the UK by bicycle, with all the necessary set, props and costume in tow. Now for the first time ever they are bringing their all-male troupe to Adelaide Fringe Australia – and, in usual HandleBards style, you can expect riotous amounts of energy, a fair old whack of chaos, and a great deal of laughter. 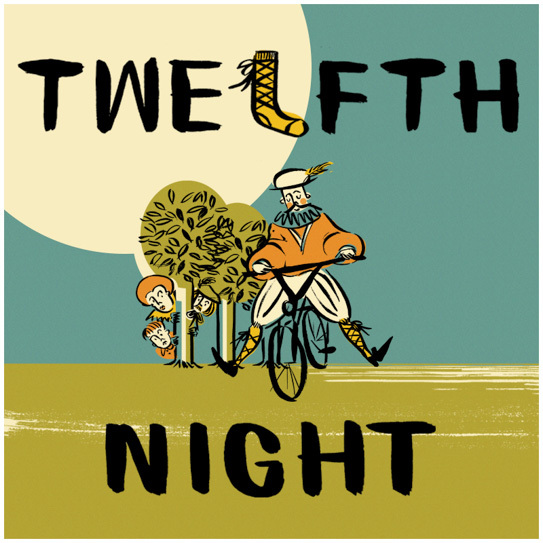 Join the HandleBards’ at The Bally at Gluttony at 17:30 everyday from 5-17 March for a Twelfth Night as you’ve never seen it before!